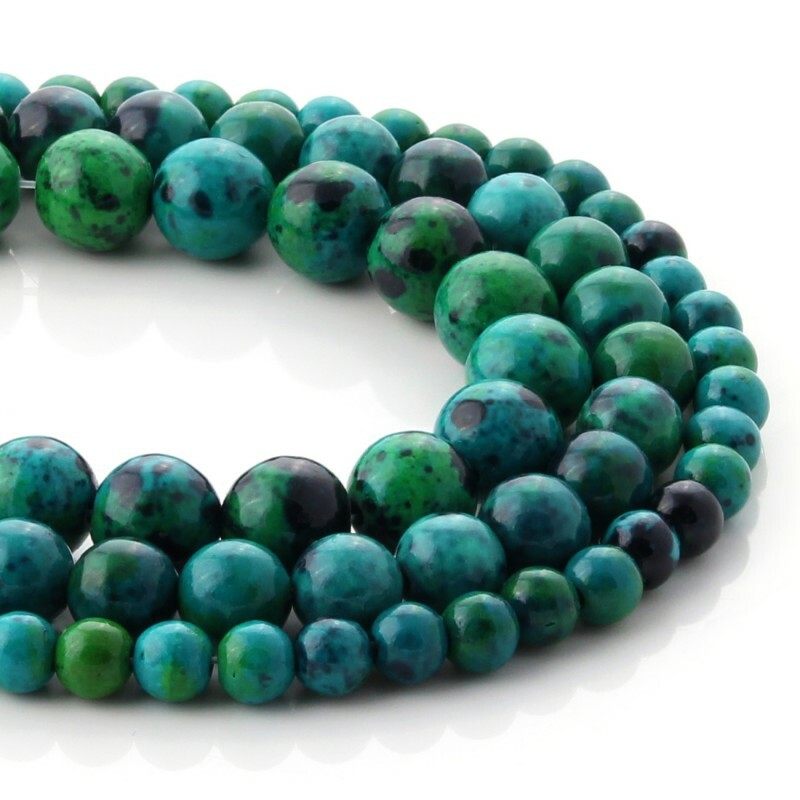 Chrysocolla balls in strips for costume jewelery. 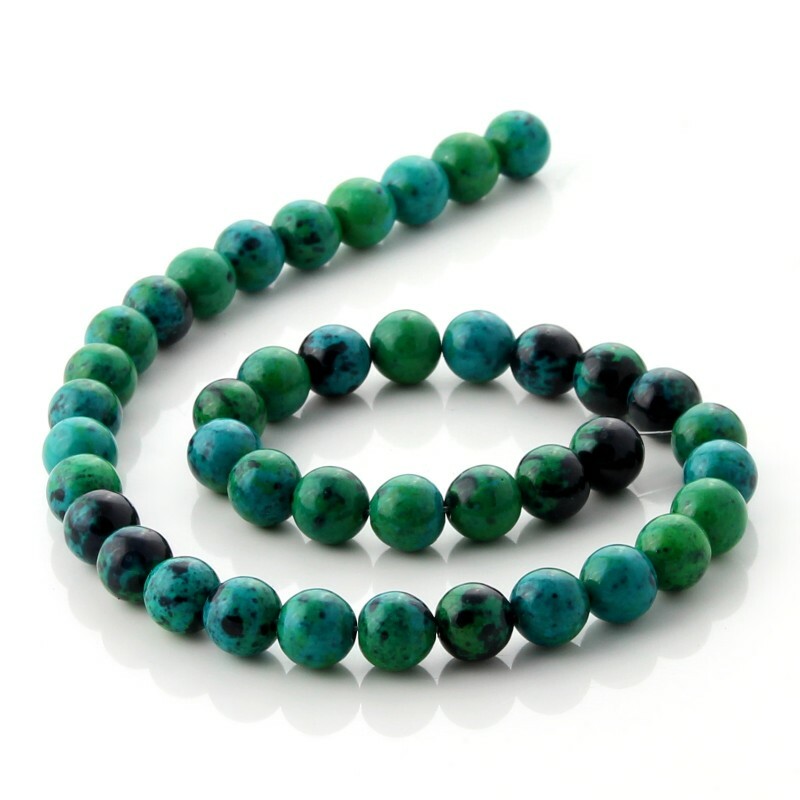 These chrysocolla beads are perforated and threaded into strips of about 38 to 40 cm in length. 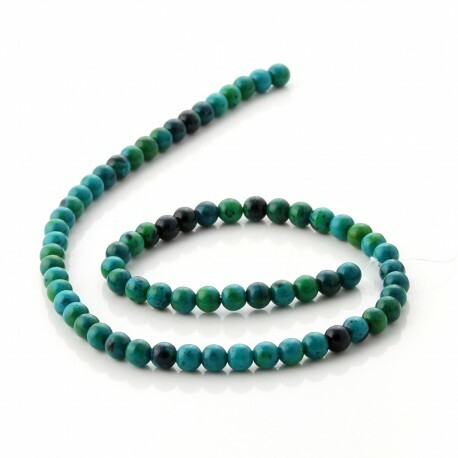 You can find several sizes of beads: 6 mm, 8 mm or 10 mm. This type of semi-precious stone beads are used, along with other types of ornaments, to make all kinds of jewelry, such as necklaces or bracelets. 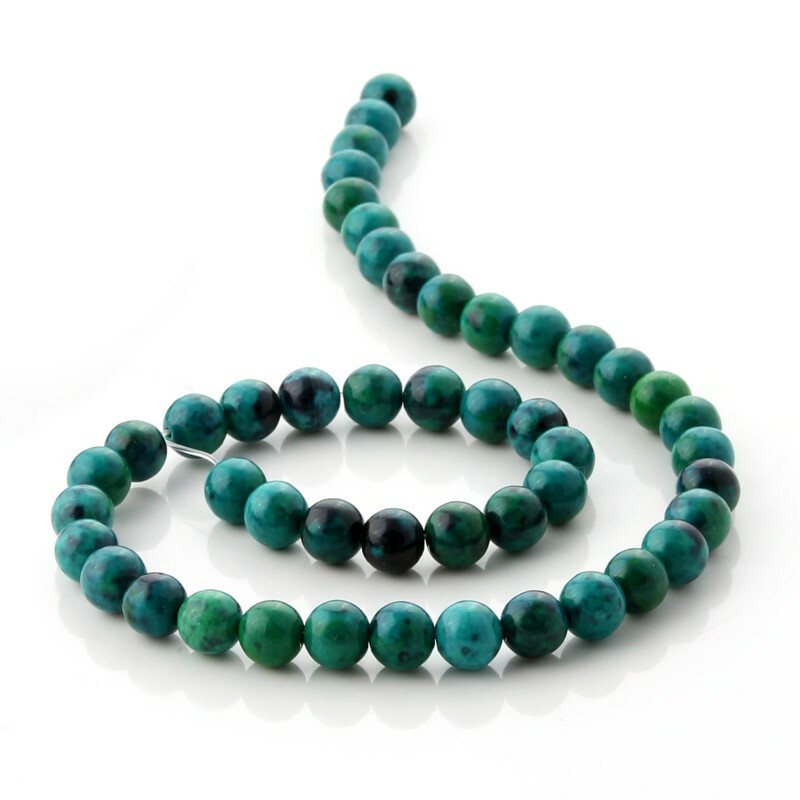 The chrysocolla has a beautiful blue-green color that evokes the colors of the forest.